The PYP prepares students to become active, caring lifelong learners who demonstrate respect or themselves and others and have the capacity to participate in the world around them. It focuses on the development of the whole child. 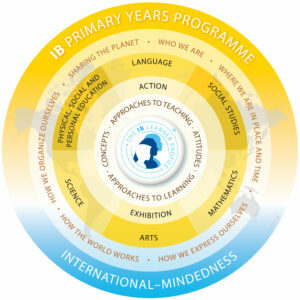 By choosing to implement the PYP, schools will develop students´ academic, social and emotional wellbeing, focusing on international-mindedness and strong personal values. The PYP nurtures independent learning skills, encouraging every student to take responsibility for their learning. The programme incorporates local and global issues into the curriculum, asking students to look at six related transdisciplinary themes and to consider the links between them. The themes include ‘who we are’, ‘where we are in place and time’ and ‘how the world works’. Ages: 3 to 12 years old. Currently Colegio El Camino is the only IB PYP school in Baja California Sur.